Hometown: Woodstown, NJ/North Granby, Conn..
Died: May 31, 2011, Logar province, Afghanistan in support of Operation Enduring Freedom. Unit: 2nd Battalion, 30th Infantry Regiment, 4th Brigade Combat Team, 10th Mountain Division, Fort Polk, La. Spc. 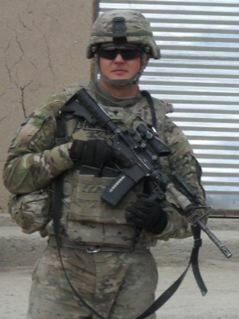 Richard C. Emmons III, 22, of North Granby, Conn., died May, 31, in Logar province, Afghanistan, of wounds suffered when enemy forces attacked his unit with a rocket propelled grenade. He was assigned to the 2nd Battalion, 30th Infantry Regiment, 4th Brigade Combat Team, 10th Mountain Division, Fort Polk, La. Emmons' awards and decorations include Bronze Star, Purple Heart, Army Good Conduct Medal, National Defense Service Medal, Afghanistan Campaign Medal, Global War on Terrorism Service Medal, Army Service Ribbon, Overseas Service Ribbon, NATO Medal and Combat Action Badge. He is survived by his loving mother & stepfather, Janice (Tighe) & William Hogan; his sister, Morgan; his brother, Conor; his maternal grandparents, Ralph & Carol Tighe of Pedricktown; his paternal grandmother, Arline Newsome of Salem; and many aunts, uncles, and cousins. 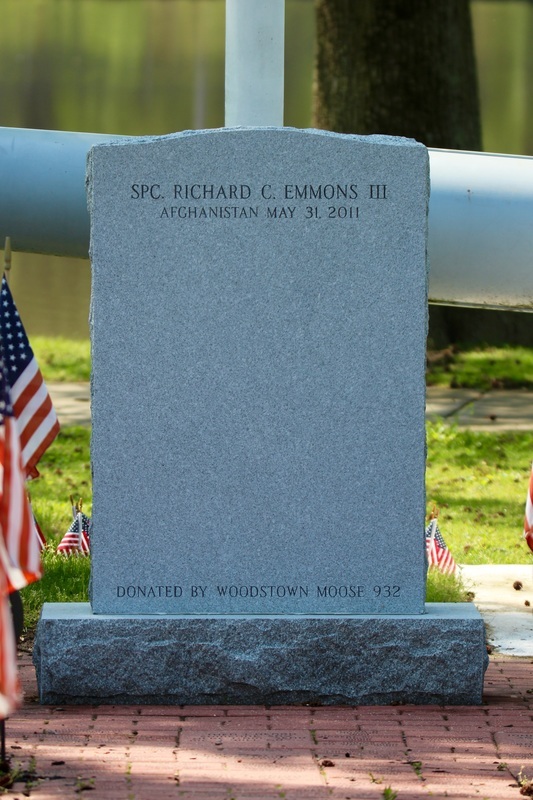 He was predeceased by his father, Richard C. Emmons, Jr.; and his paternal grandfather, Richard C. Emmons, Sr.
Richie's Fund was created in memory of Army Specialist Richard C Emmons III whom was killed in combat on May 31,2011 while serving in Afghanistan. 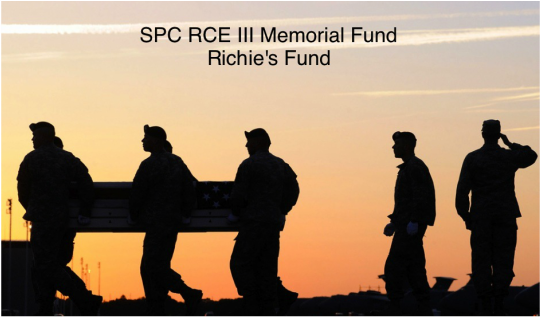 The goal of Richie's fund is simple, to honor a fallen soldier. In doing so we have created scholarships to support our community and military organizations. We have adopted the motto "service before self" striving to be a hero in our community, like Richie was. LOGAR PROVINCE, Afghanistan – Leaders, soldiers and friends of U.S. Army Spc. Richard C. Emmons III gathered to honor the signal support specialist in a memorial on Forward Operating Base Altimur, Afghanistan, June 4. Emmons was a 22-year-old support specialist assigned to Headquarters and Headquarters Company, 2nd Battalion, 30th Infantry Regiment, Task Force Storm, 4th Brigade Combat Team, 10th Mountain Division, TF Patriot. Emmons died of wounds sustained when his vehicle was attacked by enemy forces May 31. Emmons, a native of North Granby, Conn., is survived by his mother Janice E. Hogan and stepfather William R. Hogan. U.S. Army Pfc. Clint M. March, personnel security detachment, HHC 2nd Bn., 30th Inf. Regt, a personal friend of Emmons gave insight into the man Emmons was and why he meant so much to so many people. Knowing Emmons as a man, a friend and soldier, March told a story about Emmons and his attitude in the gym. After getting the soldiers in attendance laughing over the kind of fun Emmons would have on a daily basis, March brought everyone back. “Soldiers of the (2nd Bn., 30th Inf. Reg. ), I ask that you take on SPC Emmons’ attitude for our remaining tour of duty here in Afghanistan,” said March. “We must never quit in a fight with the insurgency, we must complete our mission of securing the populace making Logar province a safe place for the people of Afghanistan. Emmons’ awards and decorations include the Bronze Star Medal; Purple Heart; Army Good Conduct Medal; National Defense Service Medal; Afghan Campaign Medal, with Campaign Star; Global War on Terror Service Medal; Army Service Ribbon; Overseas Service Ribbon; NATO Medal and Combat Action Badge.